It was my pleasure to interview Kim Zingre of Edwards Architects, LLC about their Assisted Living Dining Room pictured above. Lons_Designs: I love a dining space that allows for a bit of privacy; one where the tables aren’t positioned too closely. Your design seems just right! 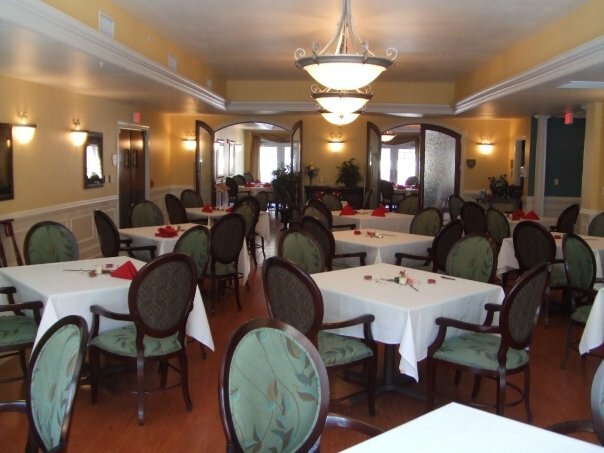 Did you have space in mind when you created the space or was it the fact that in an assisted living dining room, there’s a need for more space? Lons_Designs: Kim Talk about the color concept for the design. ← Hallway Makeover via “Real Simple”!